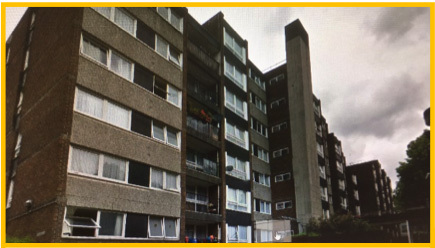 Background: Tower Hamlets Common area refurbishment and renewal of all landlord supplies at Bentworth Court. Brief Description of Works: Installation of 5 compartment metal trunking finished to RAL 9010 throughout block to accommodate replacement of landlord lighting, replacement of lateral mains, installation of IP video Entryphone system and Fire detection system. Also, renewal of mains switch gear, renewal of 2 x rising mains plus EICR of all flats and installation of new fans in tenanted properties. Challenge: Maintaining existing supplies whilst installing new systems. Liaising with vulnerable tenants as many of the residents were OAPs. Technical Solution: Installed 5 separate compartment trunking to carry new supplies which minimised the impact to residents. We worked with EDF Energy to complete changeover in just two days.